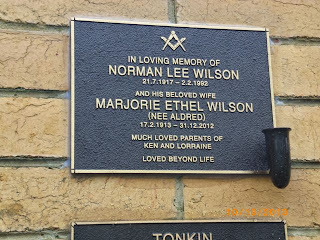 Patra's Other Place: Mrs Wilson Snr's final resting place. 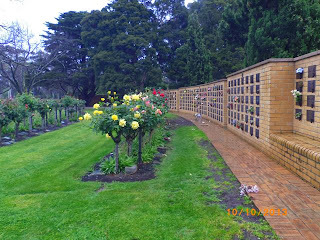 Yesterday we went to the Fawkner Memorial Park to see Ken's Mum's ashes placed into the space allocated for his parents. 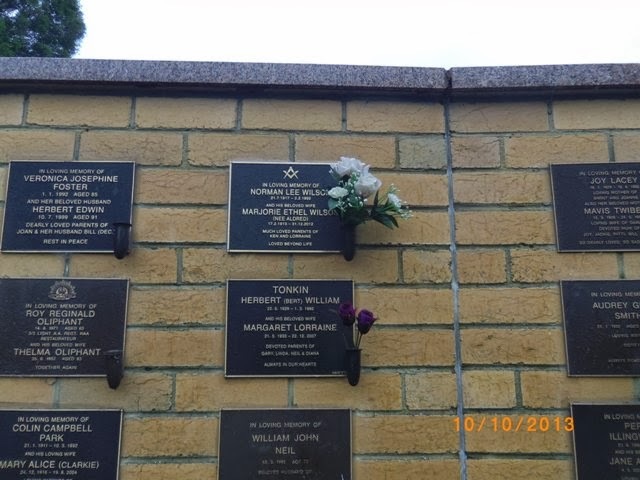 Ken placed the container next to the container with his father's ashes in it, and commented on how heavy it was. The attendant agreed, saying that the cremated remains of an adult person weighs about 2 -3 kilograms. 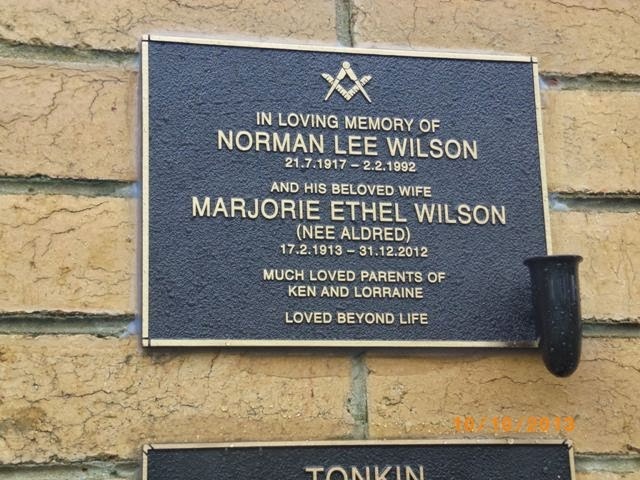 He then put the plaque in place, sealed it up, and left us to reflect on our memories. 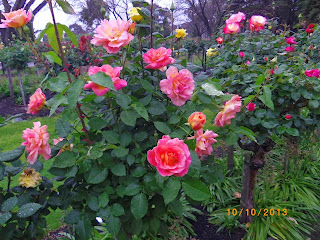 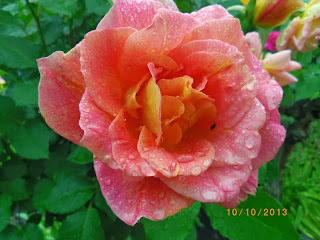 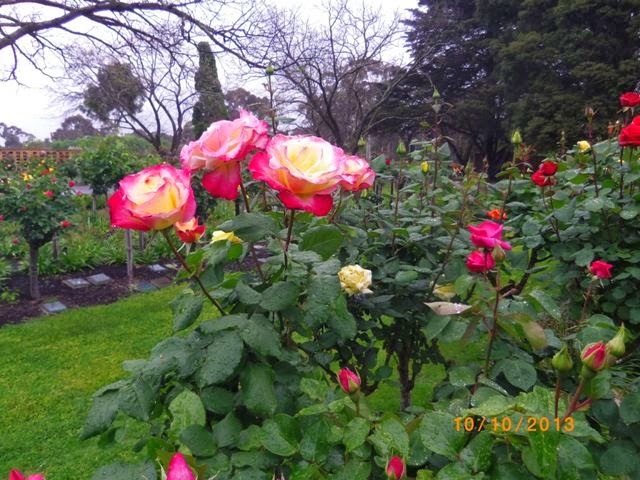 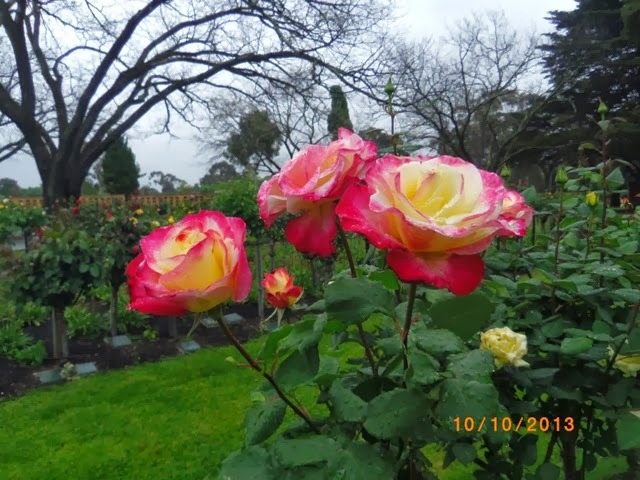 I took some photos for posterity...the rose gardens are in full bloom and despite the rainy day, they were so beautiful I had to photograph the flowers too.